Austin is a city that is full of organizations that give back and contribute to its community via charities and fundraising events. Are you looking to volunteer this holiday season? If so, then look no further because we've compiled a list of places you can spread cheer and volunteer during the holidays as Christmas in Austin is around the corner. Started in 1981 by Travis County deputies, Brown Santa has been helping out less-fortunate children and families by providing them with food and toys during the holiday season. The charity event started out as a few Travis County deputies helping out about 25 families as has grown into a large charitable cause that is always in need of volunteers. Community members in Austin are encouraged to drop off new unwrapped toys, books, and non-perishable foods November 12 through December 14. Lots of volunteers are needed to help sort all of the donations, so roll up your sleeves and sort some gifts for a cause this holiday season! Lauded by many as the greatest grocery chain in America, H-E-B is getting even better by providing Texas communities with some of their great products for an even better cause. Each year, this charitable event serves thousands of pounds of turkey and stuffing in order to fight hunger all around Texas. In addition to the food, the charity event will also provide music arts and crafts and even a Santa appearance. H-E-B is looking for volunteers to help distribute the food in each one of the 24 cities that the event is taking place in, including Austin on November 20 at the Palmer Events Center. Help out your favorite grocery store chain this holiday season and serve up something good for everyone! Going home for the holidays is a great feeling, but have you ever wondered where people without homes go for the holidays? This holiday season, you can help provide those without homes a roof over their head by volunteering at Habitat for Humanity. They're able to build houses for the less fortunate in a matter of 10 weeks with the number of volunteers. You can volunteer whether you're a master carpenter or if you've never even made a home repair before because Habitat for Humanity has a way for everyone to help out on their projects, so pick up a hammer and build someone in Austin a home for the holidays! The Trinity Center was started in 1999 by members of the St. Davids Episcopal Church and has been committed to serving the homeless and impoverished ever since. The shelter is always looking for volunteers to help serve food to members of the community. The Trinity Center only has four staff members, so they're definitely in need of some volunteers this holiday season. Give a little back to the homeless community and serve up some volunteerism! 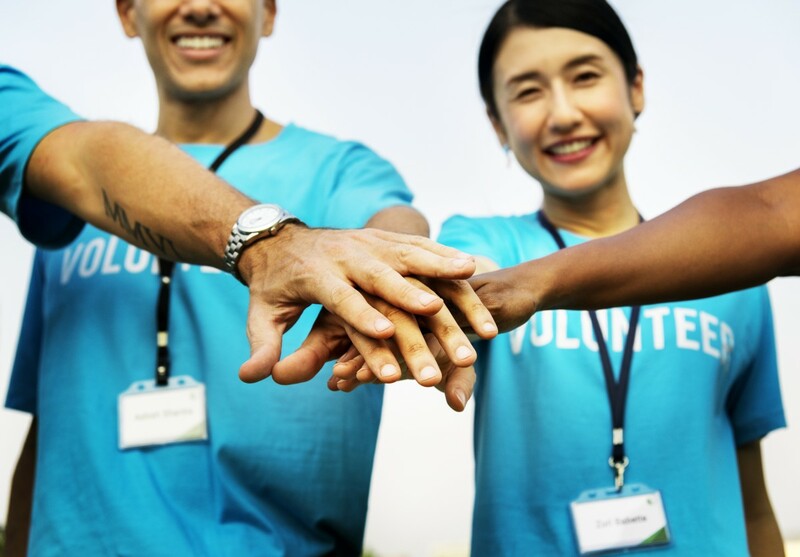 During this season of giving, give something more than just presents: give your time and goodwill by volunteering during the holidays at one of these charitable organizations in Austin! Find more events close to Christmas in Austin by registering on 512area, your free guide to everything going on in the Austin area.